ScyllaHide is an open-source x64/x86 usermode Anti-Anti-Debug library. It hooks various functions in usermode to hide debugging. This will stay usermode! For kernelmode hooks use TitanHide. 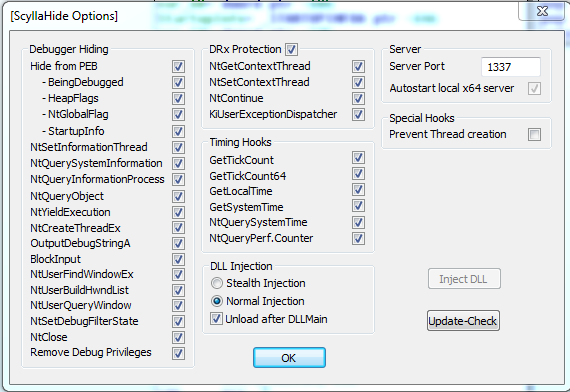 – Prevent Thread creation – for protectors like Execryptor. Only use if you know what you are doing !